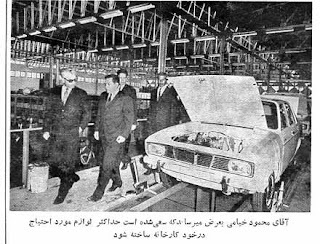 Another photo from the opening ceremony of Paykan production at IranNational factory, just outside of Tehran. On the left is Mohammad-Reza Shah, next to him is Mahmoud Khayami co-founder of the factory. For more photos see my previous post.